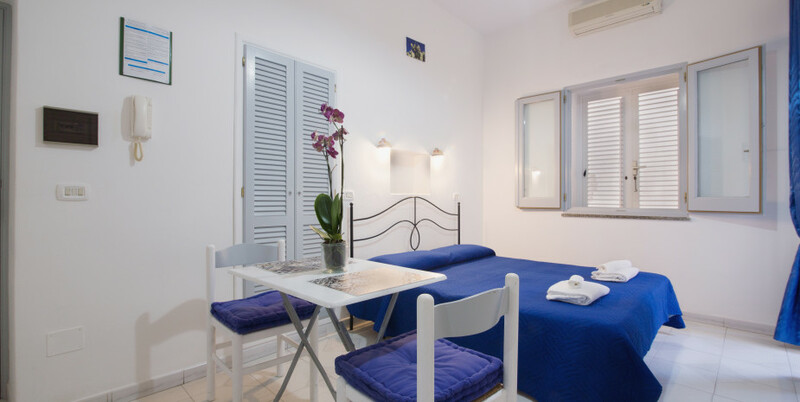 Economy: rooms are on the ground floor with direct entry from the street. 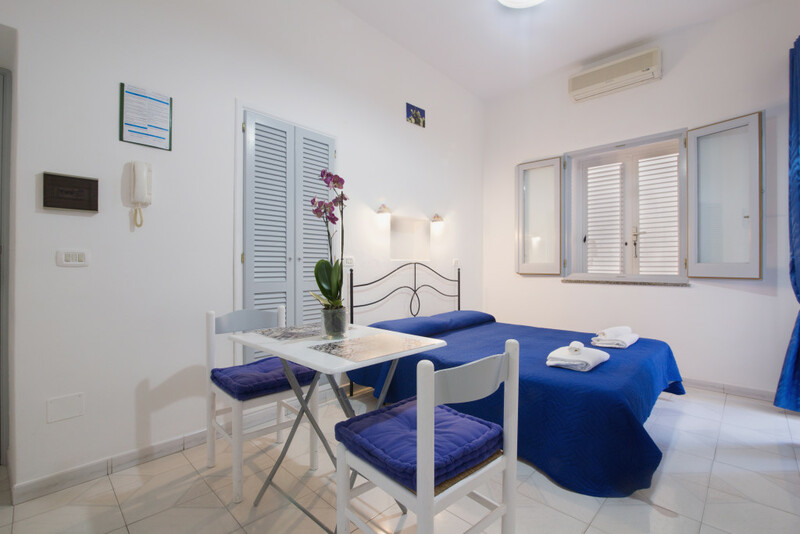 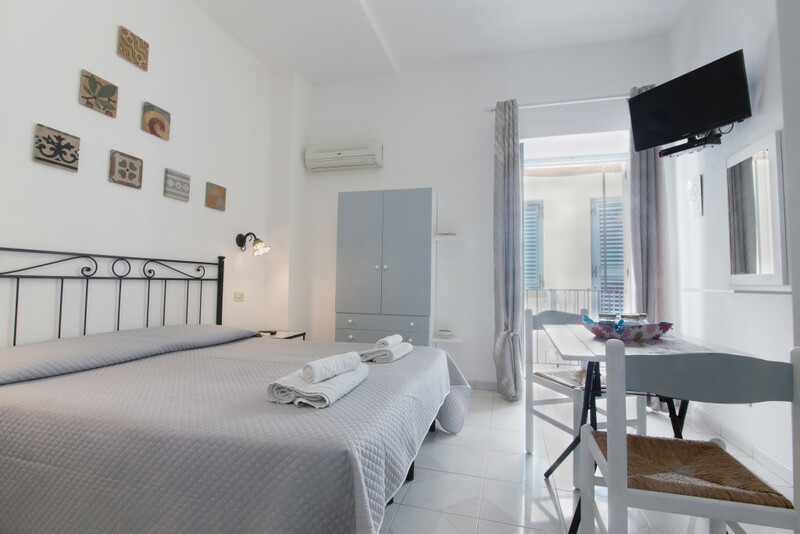 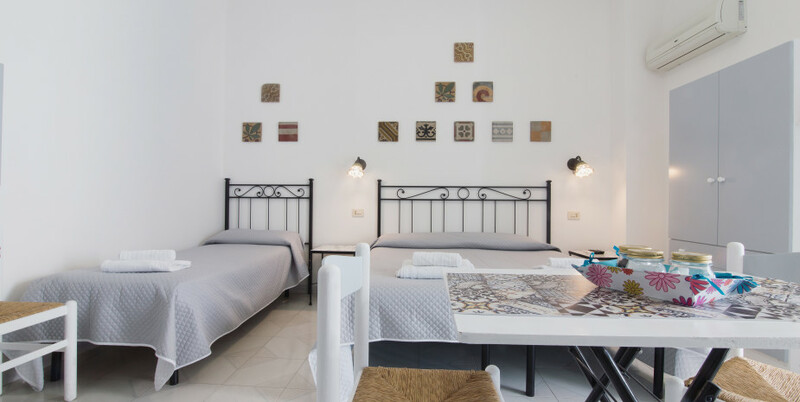 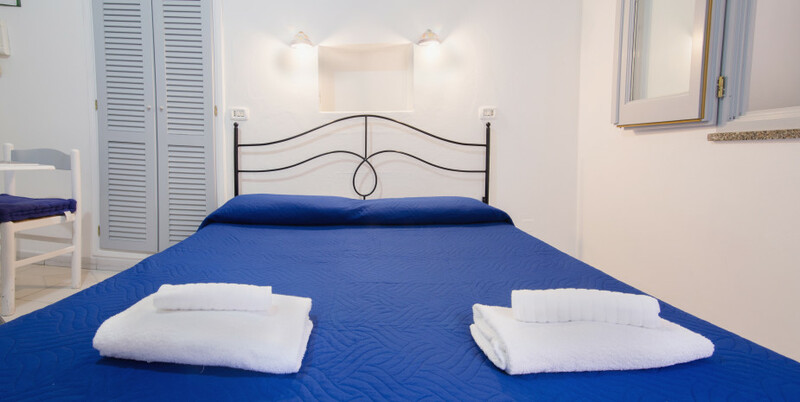 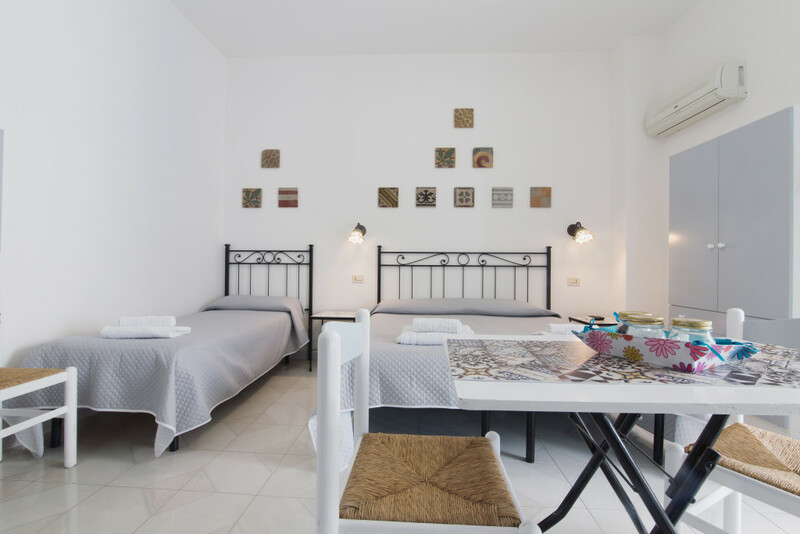 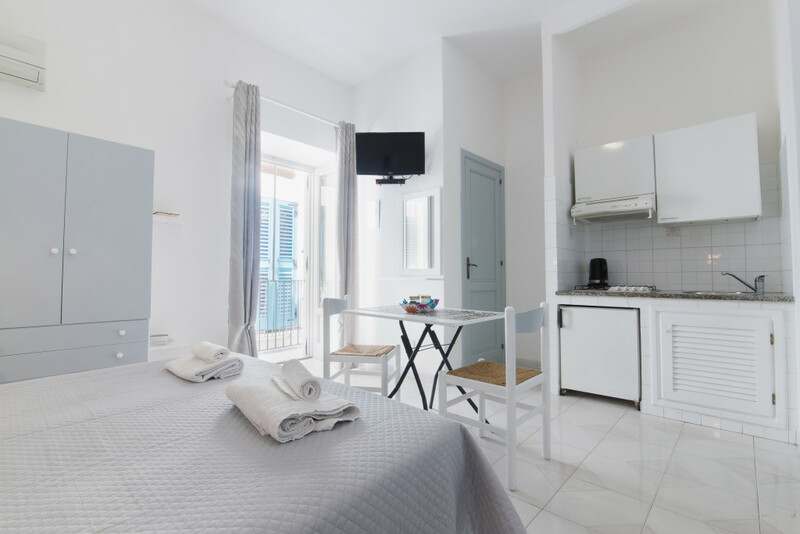 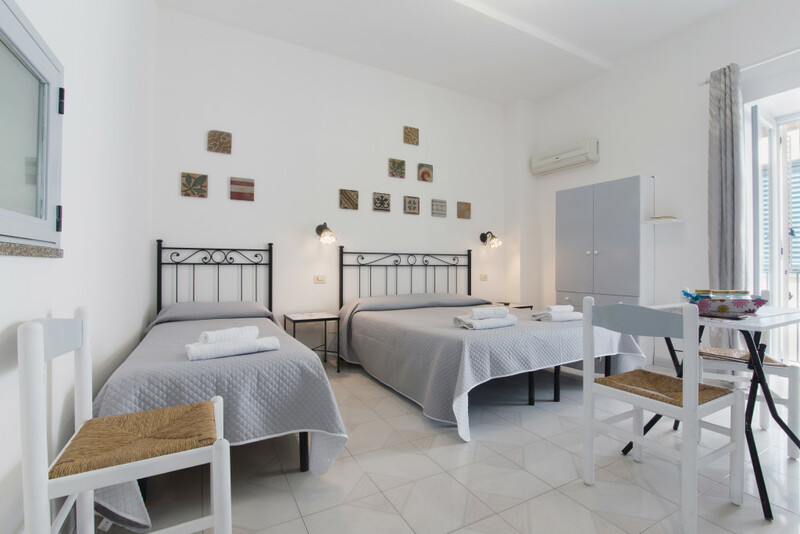 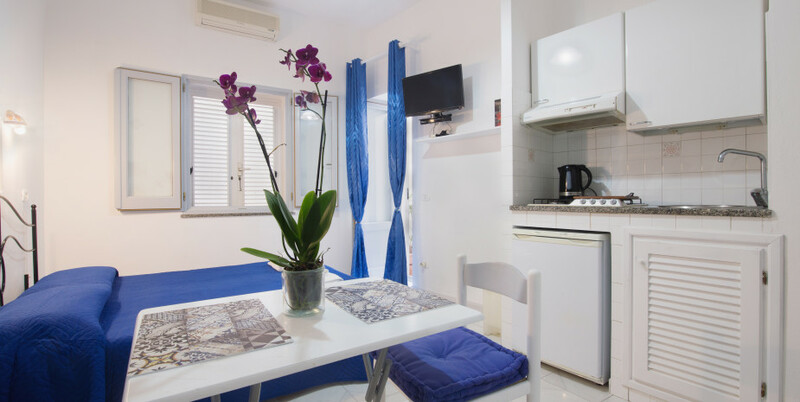 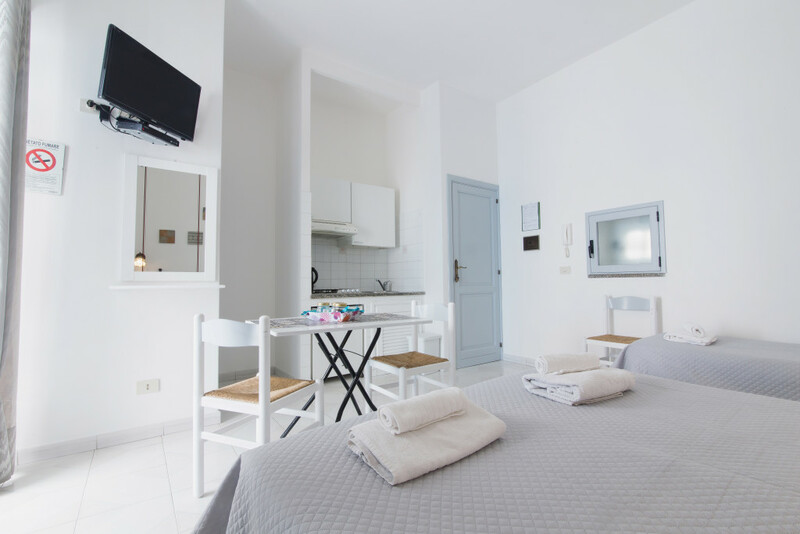 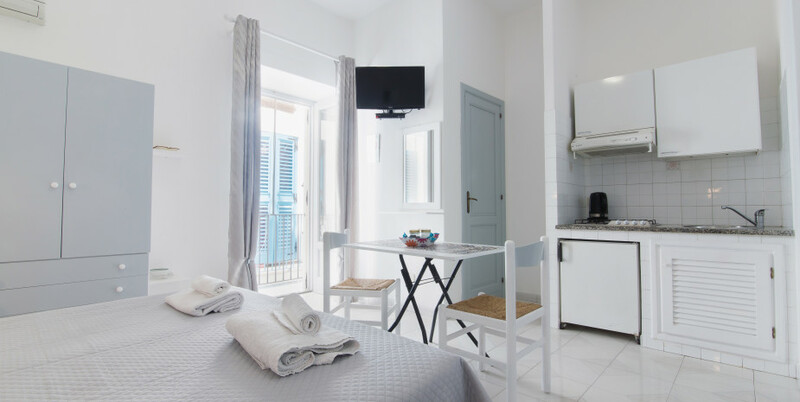 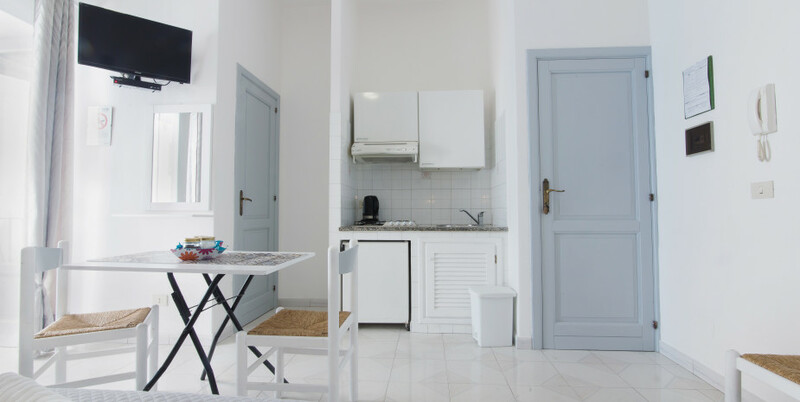 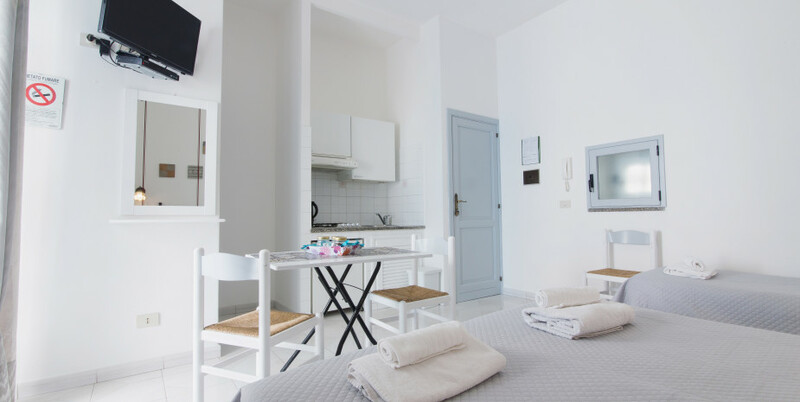 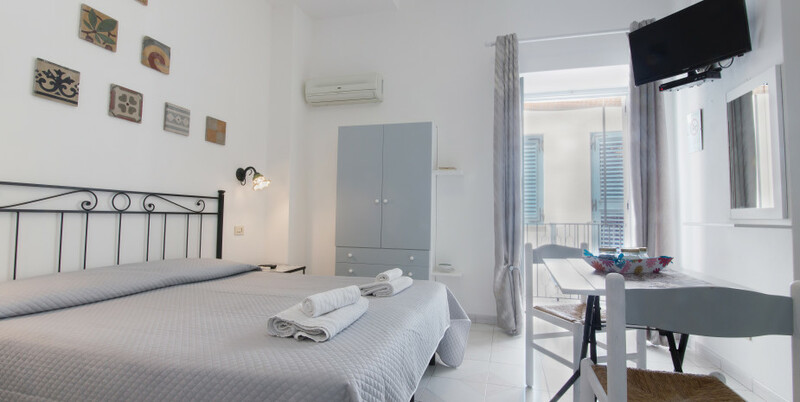 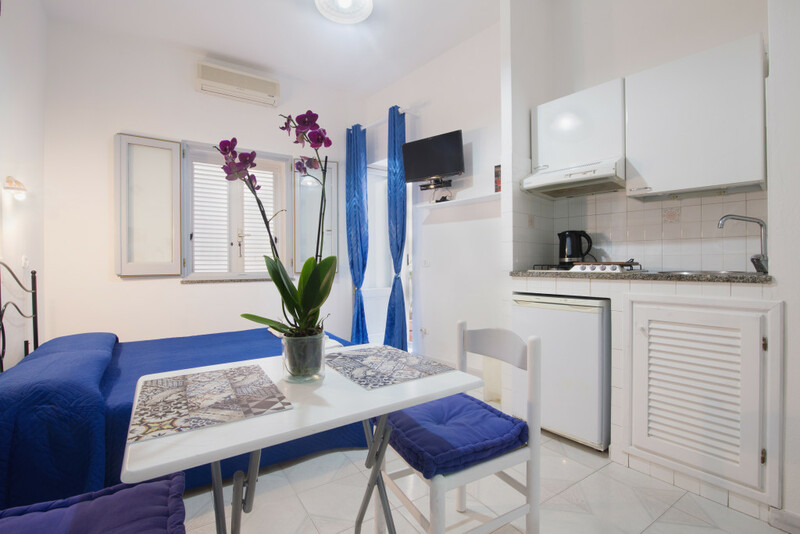 Each room has a private bathroom, minibar, satellite TV, air conditioning, kitchenette, hairdryer, Wi-Fi, and access to a shared terrace with view of the Sea. 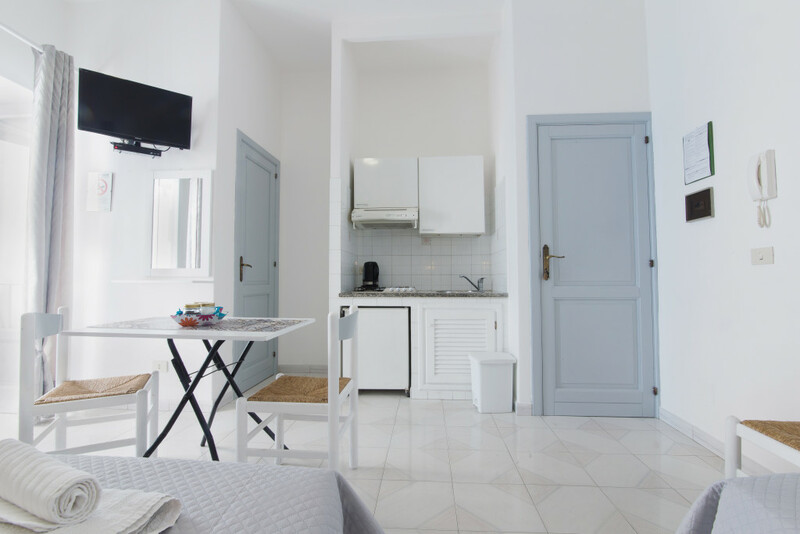 Triple: comfortable rooms on the ground floor or the first or second floors. 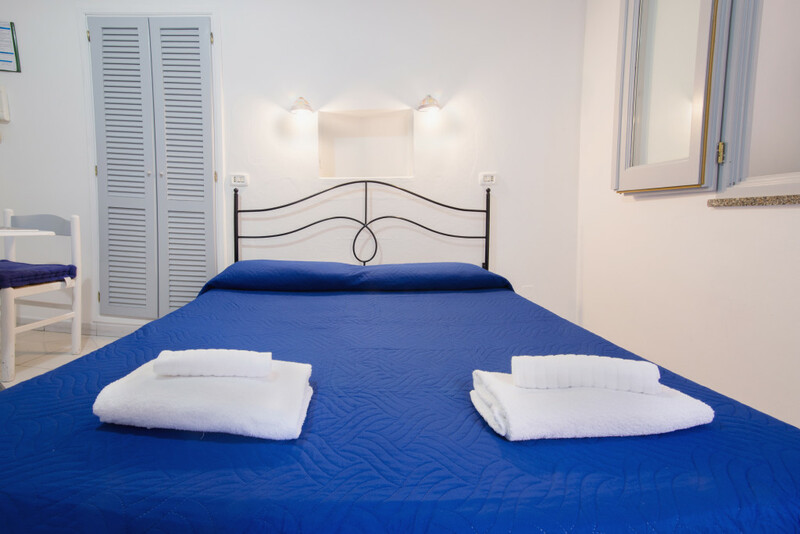 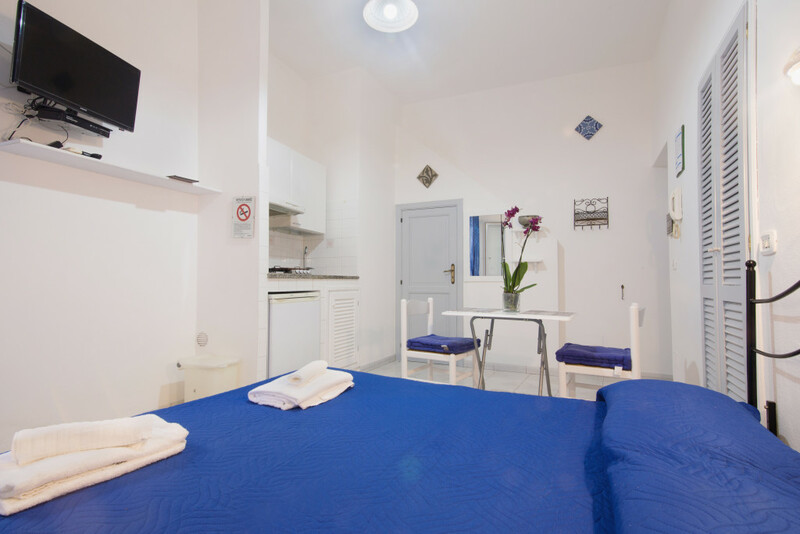 Each room has a private bathroom, minibar, satellite TV, Wi-Fi, air conditioning, and hairdryer.